The ECSTA KH11 tire combines design technology with racing success to deliver superb handling without sacrificing ride comfort and low noise in spring, summer and fall. 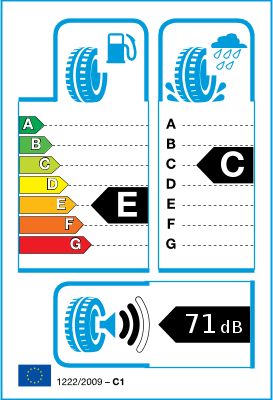 Three wide circumferential groove channel water from under the tread for outstanding hydroplaning resistance. Lateral grooves efficiently evacuate water and balance tread stiffness for improved wet traction and a smooth ride. Large outside tread blocks provide rigidity for increased cornering performance. Solid center rib provides a constant contact surface for excellent high speed stability, reduced noise levels, and better response. Jointless Cap and wide belt construction maintains the optimum tire shape at high speed improving handling, wear, and high speed capability. Optimized block shape reduces noise by altering the block size around the tire reducing noise. Bardzo fajna opona. Cicha, dobrze się, trzyma jezdni i przy tym mał,o się, zuż,ywa. 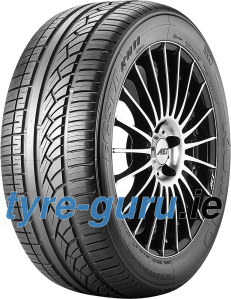 Excellent tyres, very good grip and excellent handling in wet or dry conditions. Not tested in snow. The only downside is directional stability in a straight line is not great, so they're slightly tiring on a long journey. This should be a separate rating scale!